This week saw the return of the morbid game of musical chairs at the annual meeting of the International Whaling Commission. The pro-whale conservation countries put forward their ideas for a South Atlantic Sanctuary - to create a band of safety for whales across the southern hemisphere - only for the pro-whale hunting countries to pull the chair away. The Brazilian-sponsored was defeated, even though more than half of the countries present voted for it. Only 25% need to vote against a proposal at the IWC for it to fail. That defeat was followed by South Korea's controversial decision to apply for the resumption of 'scientific whaling' - long taken as a euphemism for active whale hunting and killing for meat. Japan already has an exemption to the whaling moratorium, that allows it to hunt and kill whales under the false banner of 'scientific whaling'. South Korea's justification for the need to kill whales (perversely killing is considered necessary find out how many there are alive) is that growing whale numbers threaten fish stocks. That's something that science actually has little truck with. In fact, studies suggest that growing numbers of whales actually increase the mass of krill and fish to be found in the oceans. It seems that whale poo acts as a fantastic nutrient-booster, thanks to its high-iron content. And because iron is poor at the ocean's surface, more whales - and more whale poo - are perfect for plankton and krill, which naturally absorb CO2. That latter fact would imply that saving the whale would also do its bit for slowing global warming. Of course, it is possible that the request by South Korea will see another chair pulled away - this time by the pro-whale nations. But with South Korea implying its fishermen may take matters into their own hands, if they don't get their way, many countries are furious. "The portrayal of this initiative as a 'scientific' program will have no more credibility than the so-called scientific program conducted by Japan, which has long been recognized as commercial whaling in drag," New Zealand Foreign Minister, Murray McCully, said in a statement. While the musical chairs carry on their moribund dance in Panama, increasingly the real action to decide the fate of the whales is happening outside the IWC meets. This year has seen another successful campaign by the Sea Shepherd Conservation Society, who seek to make life difficult for Japan's whalers in the Antarctic Ocean. 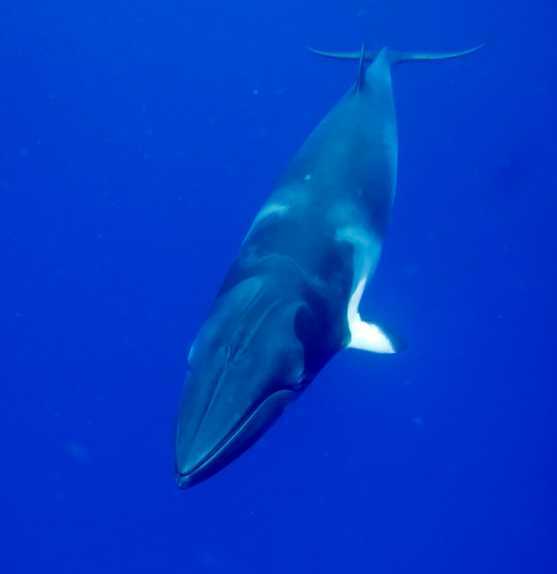 2012 saw Japanese whalers coming short on their gruesome cargo, having to abandon their hunt with less than a third of their quota of dead whales, thanks in part to harassment by Sea Shepherd activists. And even as the IWC remains stuck in its deadlock, pro-whale nations are taking things into their own hands - helping to create 'islands of sanctuary' for whales. Twelve Pacific Island states and territories have now set aside national sanctuaries, which now cover 7 million sq.miles (18 million sq.km) since Tokelau and Palau joined the club in 2010. France has created the Agoa Marine Mammal Sanctuary in the French West Indies, and is seeking to join that safe-zone with similar havens around the Netherlands Antilles and the Dominican Republic. Ultimately, the fate of the whales will rest with those who continue to apply pressure to governments to spread such sanctuaries around the globe - and on the gradual dying out of an industry, and tastes, that would rather have whales on a plate than leaping majestically in the oceans. The IWC is an irritating and seemingly irredeemable distraction.